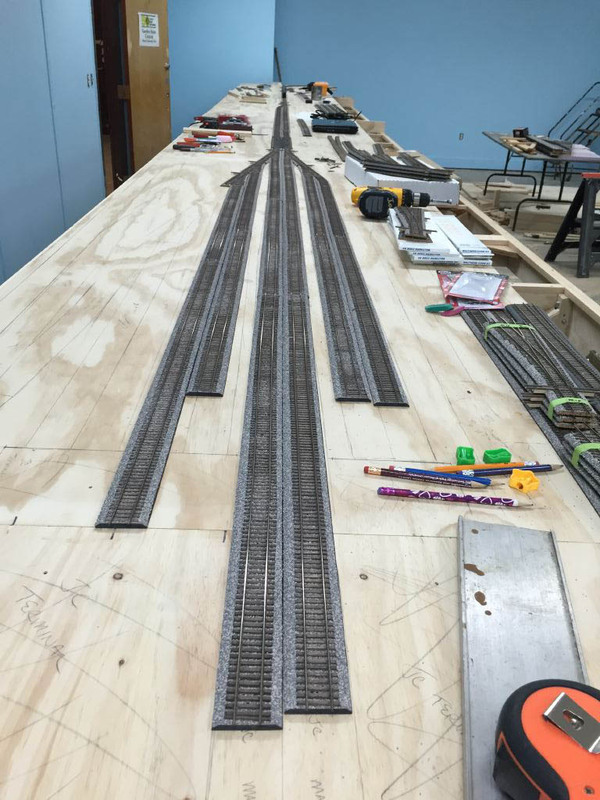 The first six tracks installed. The two longer tracks in the center will go through the station into a hidden loop. This will allow us to have continuous running during an open house.